Broad City announces its January 2015 return with this amazing teaser. 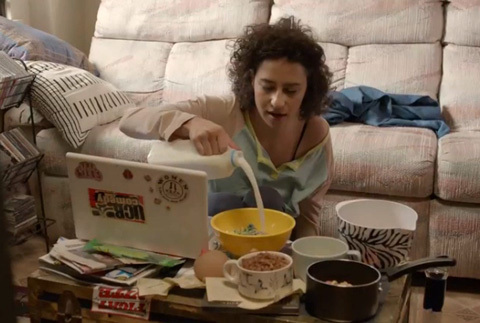 Prepare to get meta: Comedy Central’s Broad City is using a web series to tease the next season of its television series which began as a web series. The teaser web series is called Hack Into Broad City, and a new episode dropped this morning on Vulture. No word on how many web installments we can look forward to between now and the season two premiere of Broad City in January, but there’s potential for lunch, brunch, dessert, and late-night snack episodes, so the future’s looking bright.